Several bioprocessing technologies, such as separate hydrolysis and fermentation (SHF), simultaneous saccharification and fermentation (SSF), and consolidated bioprocessing (CBP), have been highlighted to produce bio-based fuels and chemicals from lignocellulosic biomass. 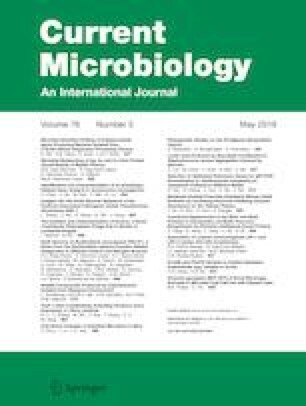 Successful CBP, an efficient and economical lignocellulosic biorefinery process compared with other processes, requires microorganisms with sufficient cellulolytic activity and biofuel/chemical-producing ability. Here, we report the complete genome of Paenibacillus sp. CAA11, a newly isolated promising microbial host for CBP-producing ethanol and organic acids from cellulose. The genome of Paenibacillus sp. CAA11 comprises one 4,888,410 bp chromosome with a G + C content of 48.68% containing 4418 protein-coding genes, 102 tRNA genes, and 39 rRNA genes. The functionally active cellulase, encoded by CAA_GH5 was identified to belong to glycosyl hydrolase family 5 (GH5) and consisted of a catalytic domain and a cellulose-binding domain 3 (CBM3). When cellulolytic activity of CAA_GH5 was assayed through Congo red method by measuring the size of halo zone, the recombinant Bacillus subtilis RIK1285 expressing CAA_GH5 showed a comparable cellulolytic activity to B. subtilis RIK1285 expressing Cel5, a previously verified powerful bacterial cellulase. This study demonstrates the potential of Paenibacillus sp. CAA11 as a CBP-enabling microbe for cost-effective biofuels/chemicals production from lignocellulosic biomass. Gyeongtaek Gong and Hyun Ju Oh are co-first authors. This research was supported by C1 Gas Refinery Program through the National Research Foundation of Korea (NRF) funded by the Ministry of Science, ICT (Information & Communication Technology) & Future Planning (2016M3D3A1A01913249). The authors also appreciate further support by Korea Institute of Science and Technology (KIST) Institutional Program (2E28290).